Travis and Ashlyn are so in love you can tell from the first time you meet them and they are an absolutely gorgeous young couple. So of course I was thrilled when they wanted me to do their engagement photo session. I had helped Travis with making an engagement video that he surprised Ashlyn with in front of their family on Christmas last year. How epic sweet right!? So I knew that I had to make their engagement session supper off the hook. My wife and I went out a day early and chose some really breath taking locations around the Prescott AZ area, so that I would be ready on the day of the shoot. The next day I met the two of them at Watson Lake for our first location. This was the first time I met Ashlyn and I was so pleased when she was just as sweet as she looks. Now down to business… the photos! 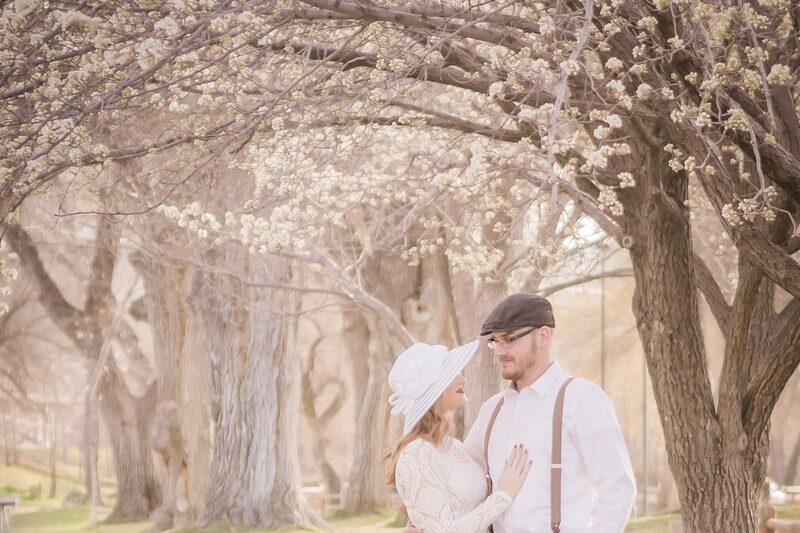 How do you make an epic dreamy engagement shoot? Plan and relax. Its that simple because the most important thing to getting great images is authenticity and a relaxed and confident couple will make that happen. How do you get a relaxed and confident couple? Be that yourself! By getting there a day early and having a ton of great spots chosen out knowing where my light was going to be and feeling ready gave me the feeling of confidence I needed to make it happen.